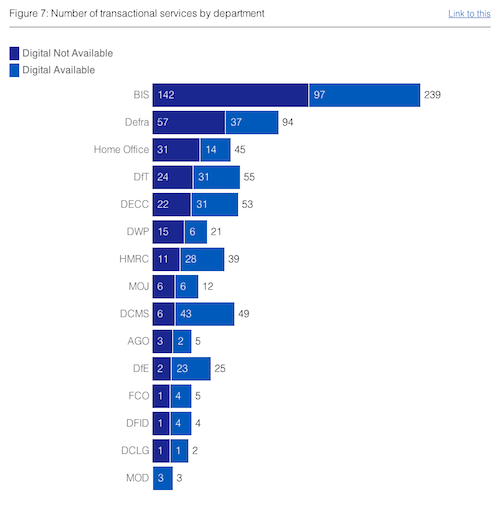 A few weeks ago I wrote a post detailing the technical side of the Government Digital Strategy. One of the things I spoke about was how we were keen to keep improving the site and fixing bugs. We were also hoping to move some of the code into its own repository. The code could then be used as a completely independent plugin which would have other uses beyond the strategy. Today I'd like to update you. Since launching the strategy we've kept a full change log on Github and the commits are free to browse if you're interested. I'd like to highlight a few of the most important changes we made. The biggest improvement for us has been the PDFs. They are now much smaller in size, better designed and much easier to download and read. A lot of users missed the PDF link when we first launched, so it's been tweaked and is now more obvious. Each document now includes a link to its section in the Github repository. The link shows the date the document was last edited and takes you directly to Github, which makes it even easier for you to see the changes we’ve made. Our work has been driven by feedback too. Several users were trying to click the blue text on the charts. That's now been changed. We have also made lots of other changes that improve the whole user experience. The project's README was also re-written, so if you'd like to take the project and run it locally, you can. If you find any bugs in the strategy or with the Magna Charta, or have any suggestions on how we can improve it, please let us know. We're continuing to iterate and improve, and we'd like to thank everyone who has taken the time to feedback, good or bad. have you considered using EPUB format for documents, instead of pdf? We are looking into it and we'd love to do it if possible. Our problems so far have been being able to programatically generate ePubs that are reliable. We don't have the time to manually produce them every time we update the documents.